For parents who were born to run, the kidRunner is everything you’ve been waiting for. Before kids, you could go on epic runs at the drop of a hat. In fact, you could do almost anything at the drop of a hat. But having kids makes finding spare time tricky and often involves bartering with your partner: a one-hour run twice a week for you in exchange for them getting both lie-in days on the weekend. Not any more. Now you can have your run and sleep late too. 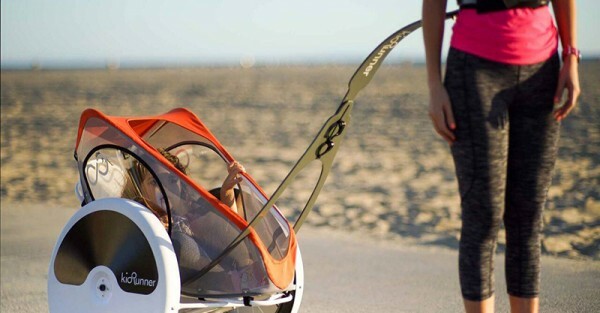 The kidRunner (US$750) takes running with kids to another level. 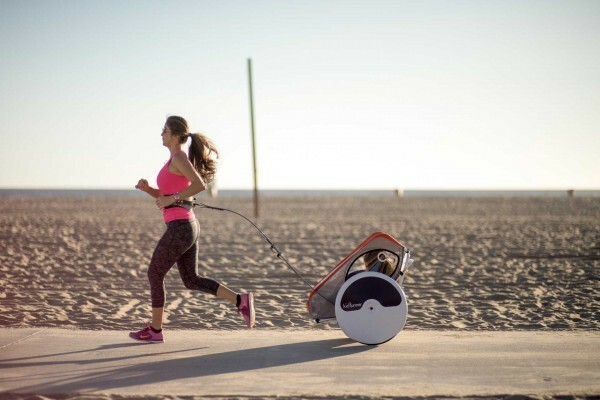 Rather than a typical running pram, which is pushed (and, I might add, kind of awkward and hard on the forearms), kidRunner is a running chariot with a waist harness that leaves your arms free. It lets you keep your natural running form, and will actually increase your fitness from pulling 18 kilos of child behind you. Clearly developed by parents who run, the kidRunner has covered all the bases. The wheels are tilted for stability, fenders cover wheels completely to protect little wandering hands from getting caught in spokes, the frame is lightweight aluminium, and the chariot cover is breathable and removable. Best of all, the harness is comfortable for the runner, and the ride is super smooth for the passenger. 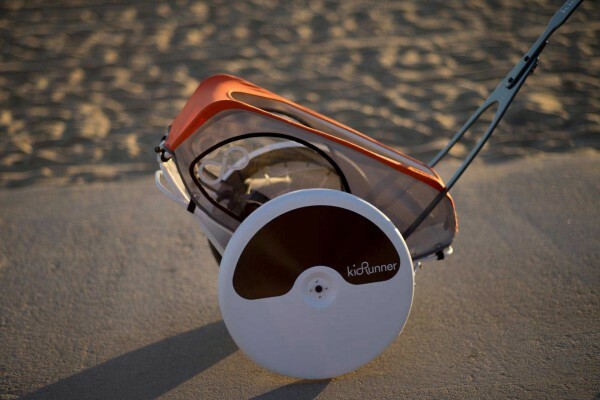 The kidRunner is efficient for running on sand, trails, road, and if you’re in a part of the world where this is relevant, it’s even good in snow. The kidRunner has been so popular pre-orders are closed for now, but you can sign up for updates to get your hands on the next release.